The wrong location, no buses and competition from sellers sitting outside supermarkets is being blamed for the ongoing failure of the Vaitele Market. Vendors at the market have raised concerns about the $5.7 million tala market not being put to good use since it was opened in 2011. “The market will serve this side of the capital and Upolu. It should also immediately result in the easing of traffic through Fugalei (market), easing of the pressures and demands on the main market there and the over-crowdedness we’ve become all too familiar with through the years. According to the vendors, sales are slow every day as they do not have many customers. Salapo Tavita Brown from Vaitele Fou said they’ve been selling their products at Vaitele since the market was opened in 2011. “My mother was the one who started selling coconuts, firewood, taro and other products here,” says Salapo. Sales are slow, says Mr. Brown. Mr. Brown said that each week from Monday to Wednesday, they get only two to three customers each day. “But from Thursday to Sunday, those are the only days where we can earn close to a hundred tala,” he added. Moreover, Mr. Brown believes the main problem is the location of the market. Moreover, the growing number of people and farmers selling products in front of supermarkets is what Mr. Brown thinks is one of the major challenges. “More and more people are selling products in front of supermarkets like Frankies and there are other Chinese shops selling the same thing we sell here at the market. “I mean what was the purpose of having this big market here when people are out there selling their products instead of making good use of the market? “I mean why not make good use of the facility that was built for the farmers to sell their products and other families for business? “People usually buy from them more than us, because a lot of people who go to do their shopping at the supermarkets are able to see their products and buy from them and this stops people from coming here to the market. “And that’s what I mean when I say that it would’ve been better if the market was located on the side of the main road. Another negative, he believes is not having buses stopping at the market. 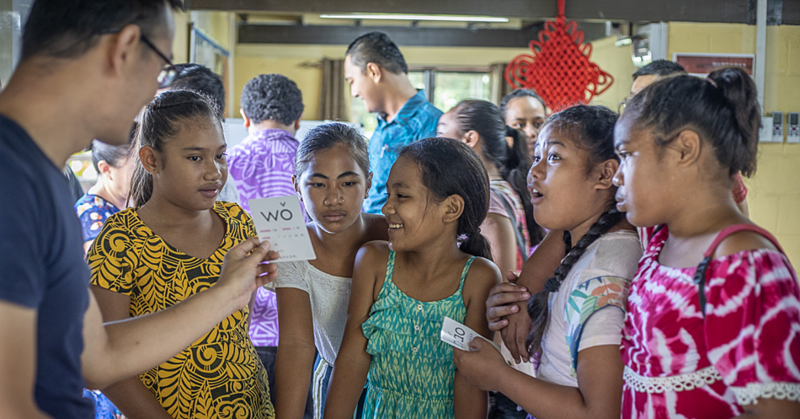 “If you look at the market at Savalalo and Fugalei, there are bus stops there where the markets are, and people are able to see what’s available there and buy from it. According to Mr. Brown, the only reason why the number of people increases in the afternoons is when people come to have lunch at the restaurants and the eateries. “The other reason is the billiard tables are here. Most of the people that you see here at the market are here to play pool. 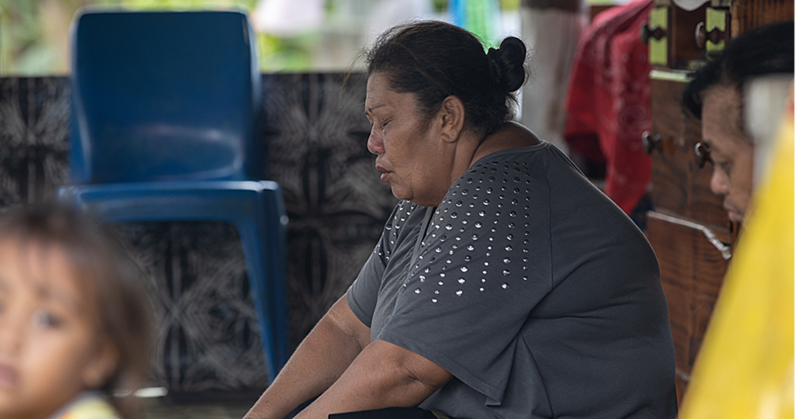 “But the number of vendors and farmers who come here to sell their products are less than 10.” Another seller, Leaoaniu Lomiga from Toamua agreed with what Mr. Brown said. 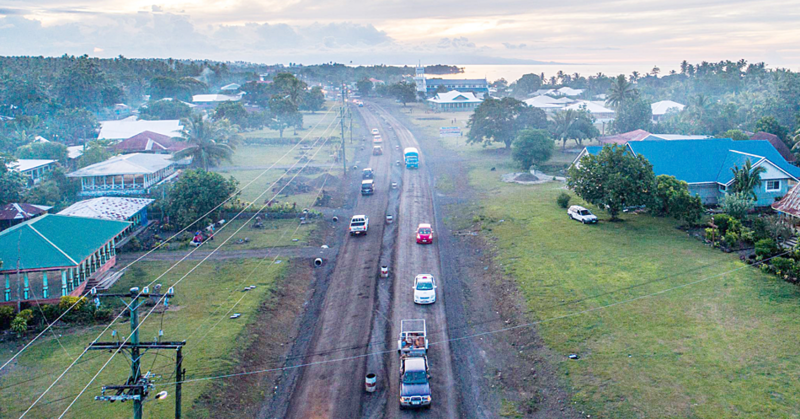 “We hardly have any customers each day, and it has always been like this,” he told the Samoa Observer yesterday. “It’s such a shame that people are not making good use of this facility. It’s a new market, it’s clean and safe. “I think that this facility is better than the other markets but it’s just that only a few people come here to buy things because there are hardly any vendors here selling their products. 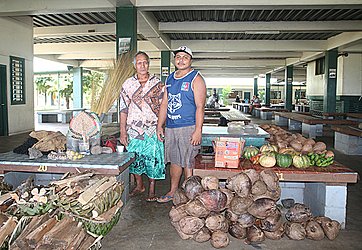 The $5.7 million Vaitele market was opened in April, 2011. The facility includes an expansive crops hall, a fish market area, over 50 flea market stalls and 40 business spaces for small retail shops and others.